Surrounded by the Sierra Nevada, urban living in Reno means a bounty of outdoor recreation is still within minutes, often mere steps, from your front door. Strolls home are guided by colorful murals. Diverse culinary adventures, quaint boutiques and bars harkening back to the Prohibition era are abundant. In the heart of the Biggest Little City, the centrally located MidTown neighborhood offers an echelon of living unlike any other in Reno. Helping to elevate it further are the new Tonopah Lofts by S3 Development. From MidTown, an international airport is 10 minutes away, and the nearby interstate takes you deeper into the country, or to the Bay Area and several wine regions in just a few hours. However, you may not want to leave. Nevada, being free of the state tax burden, lends itself to the scenic, expansive region’s current economic boom that some experts see lasting for 10-20 years. Global heavy-hitters from Amazon to Tesla, among a plethora of others, have moved to the area, providing employment opportunities and financial boosts to the community. Some have even dubbed Reno the next Silicon Valley. Many are already aware, now calling Reno home, seeking additional opportunities for themselves in Northern Nevada. While the region is a breathtaking haven for outdoor-lovers, MidTown is a walkable, bikeable urban utopia teeming with personality. As the gateway city to Burning Man, copious culture exists in the area, and this neighborhood is at the core. Plentiful public art adds to the world-class restaurants, bars and museums, attracting media attention around the globe. Nestled within this neighborhood dotted with history is a touch of exquisite residential modernity. Imagine entertaining within your immaculately designed, spacious, 1,995-square-foot, two-bedroom, two-bath loft, each of the three levels providing a different living space. Four modern interior design options are available, with soft, neutral palettes complementing the bold tonalities of the lofts’ modern, industrial-chic exteriors. Durable hardwood laminate flooring juxtaposes the carpeted stairs, bedrooms and mezzanine. Quartz countertops and glass tiles set the stage for high-end fixtures and appliances in the kitchen and bathrooms. 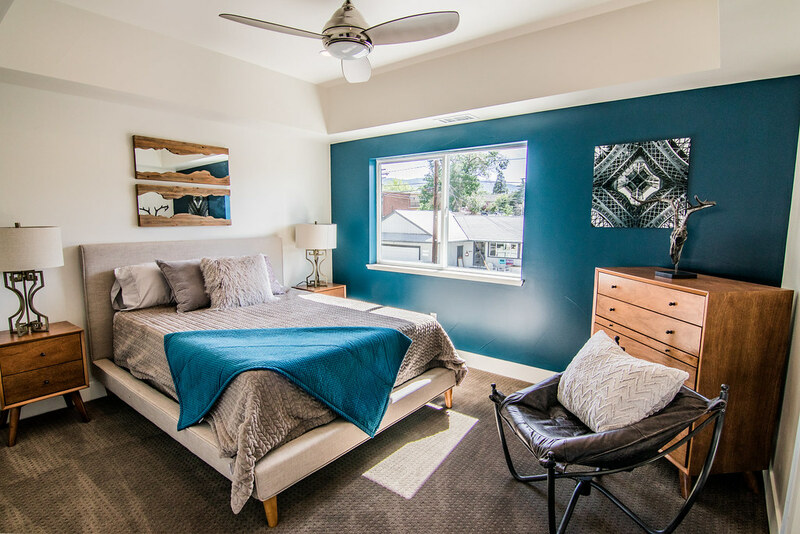 Helping to protect the planet, there are two different heating and air-conditioning systems to provide the idyllic temperature for each level without wasting energy, plus an on-demand water heater. 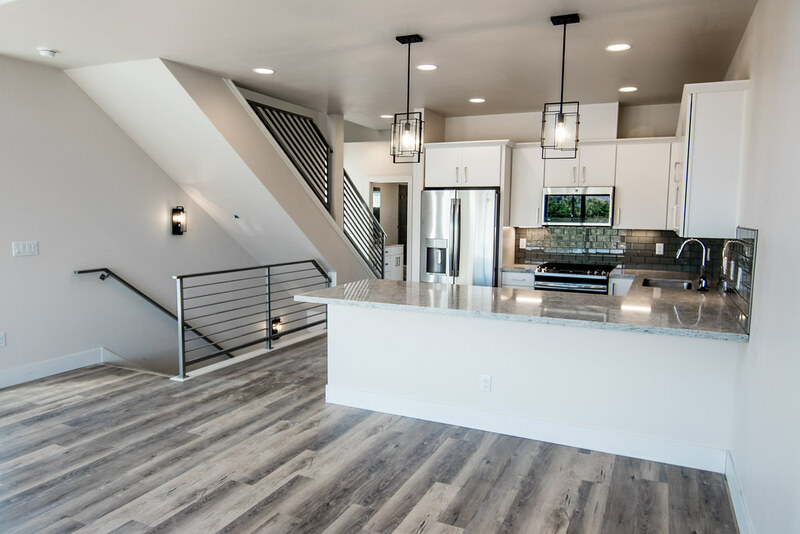 Towering ceilings invite in natural light, though with the lofts’ abundant outdoor spaces, you’ll never miss fresh air while home. Each of the single-family abodes are crowned with a private, 360-square-foot rooftop terrace, plus feature earth-conscious xeriscaping in the front and backyard, and a patio to unwind on. Though set in the center of town, privacy isn’t missed. People-watching from your rooftop perch helps you decide where the action is that evening, or if you’d prefer to stay in. There are dozens of dining and activity options, along with events year-round, within walking distance. 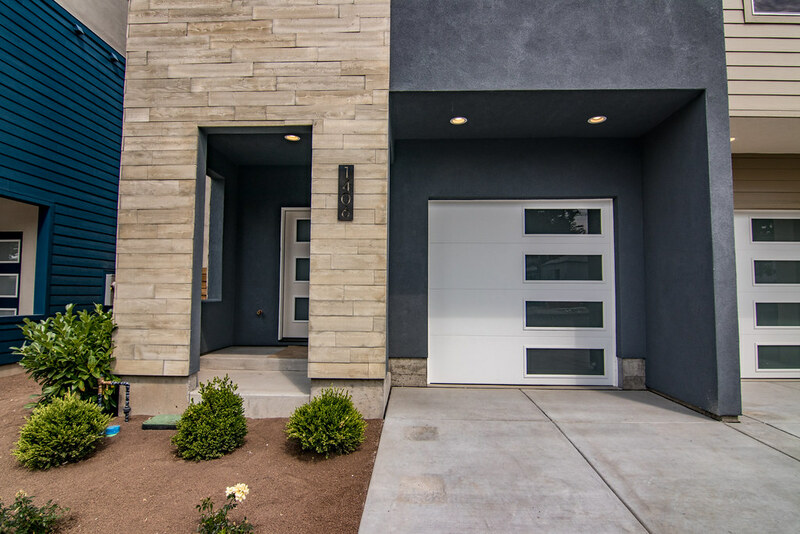 It’s all part of the hip, urban lifestyle offered within the Tonopah Lofts micro-community. Want to see if this lifestyle is for you? 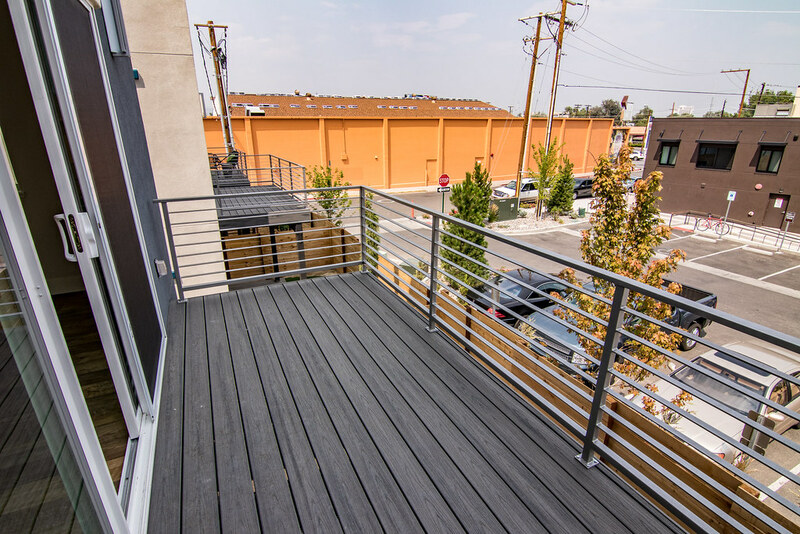 Make an appointment to check out the lofts today by calling Laura Parra at (775) 391-9076. We’ve added quite a bit of new art (from local artists!) to the streets and alleyways around our Marmot burrows in Midtown. These art pieces are getting great response–and they’ve yet to be defaced, which is quite a feat considering the amount of graffiti these spots used to see. Check ’em out! With winter finally officially here, snow on the ground from the ski resorts down to the valley floor, and the holiday season well up on us, we decided to go through a few of the reasons why we’re especially grateful to be based here in the Biggest Little City. Above and beyond Northern Nevada’s great tax benefits and legal advantages for businesses, our state’s multiple national rankings for being business friendly, and the (also nationally ranked) lifestyle we all know and love, Reno has another notable draw for large corporations looking to set up shop in the area. Foreign-Trade Zone 126 (FTZ 126), as it’s designated, is one of the largest and most flexible FTZs in the nation. It’s primed to be one of the most utilized, and it’s role in Reno’s future isn’t a small one.